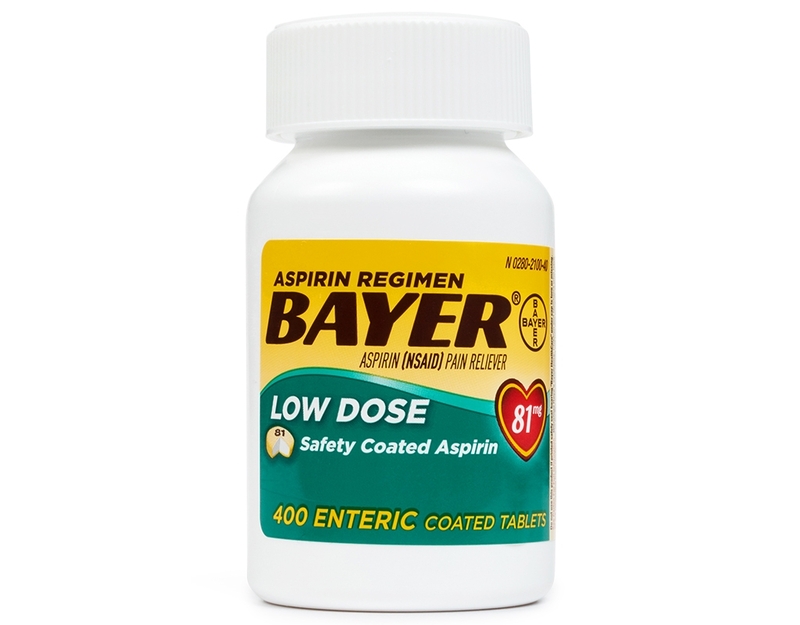 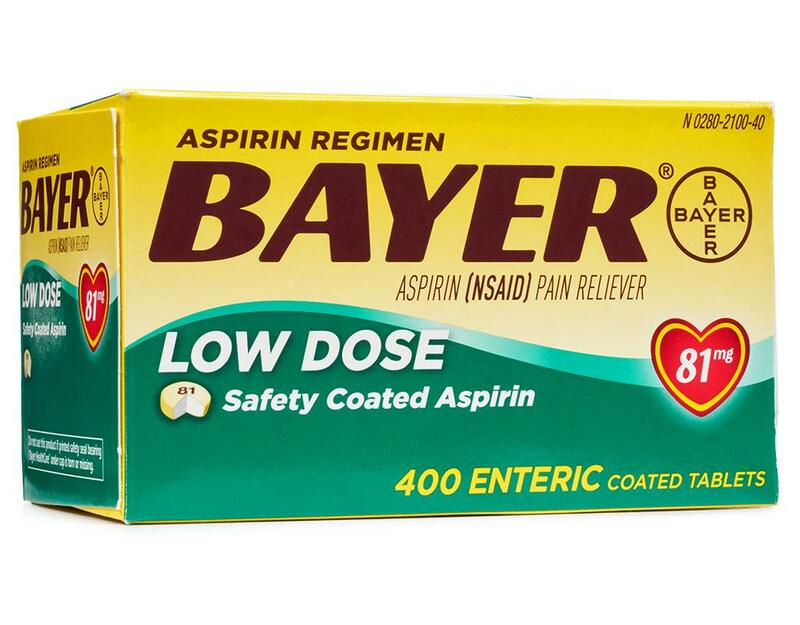 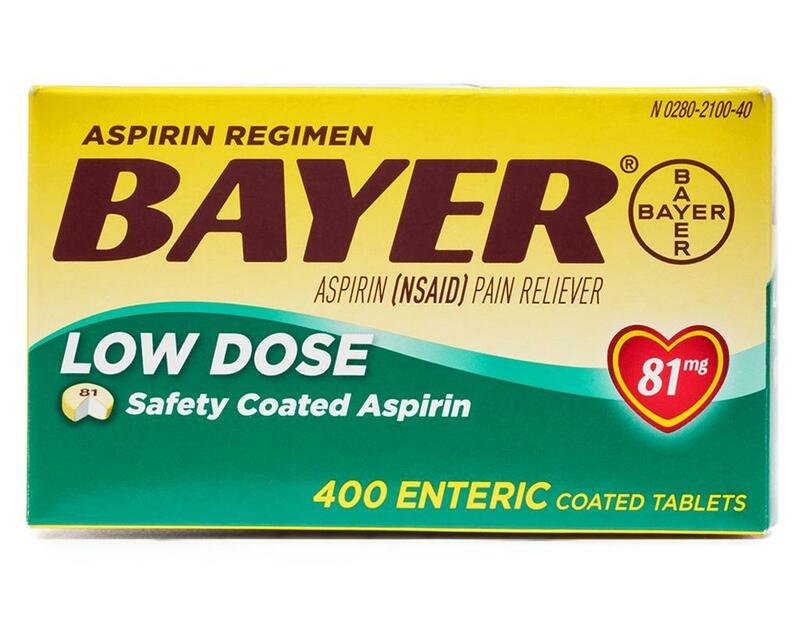 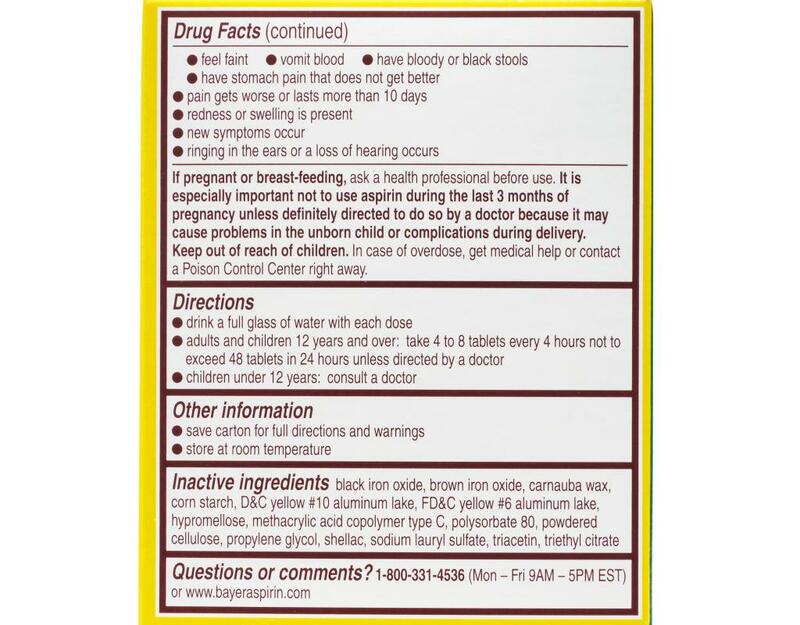 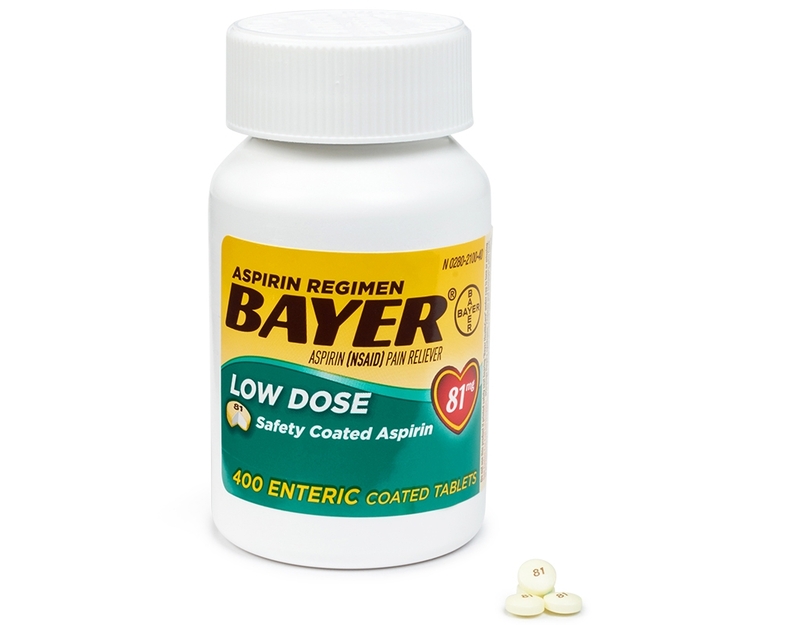 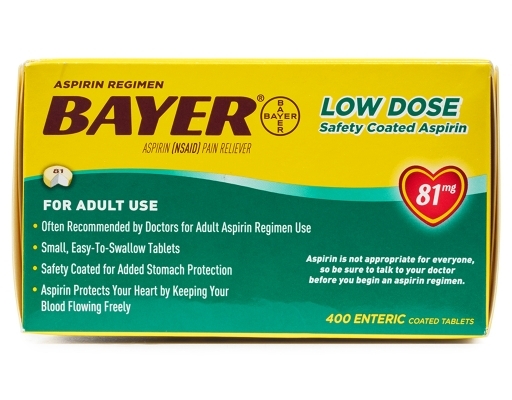 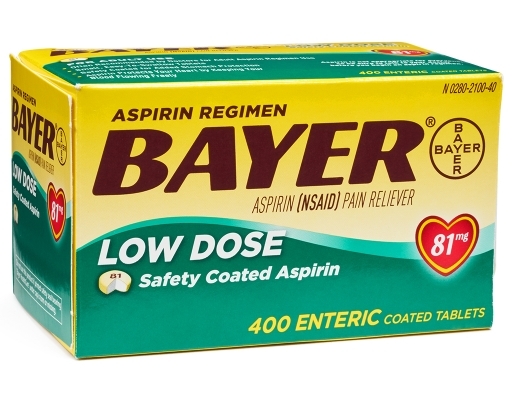 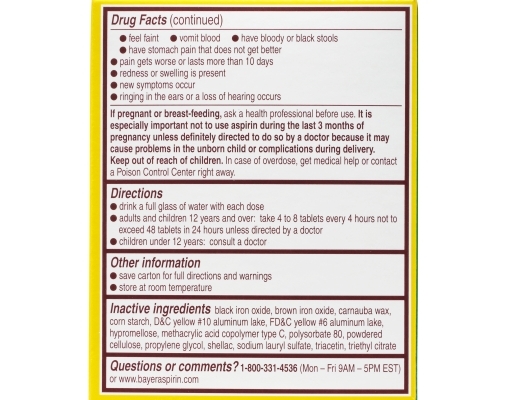 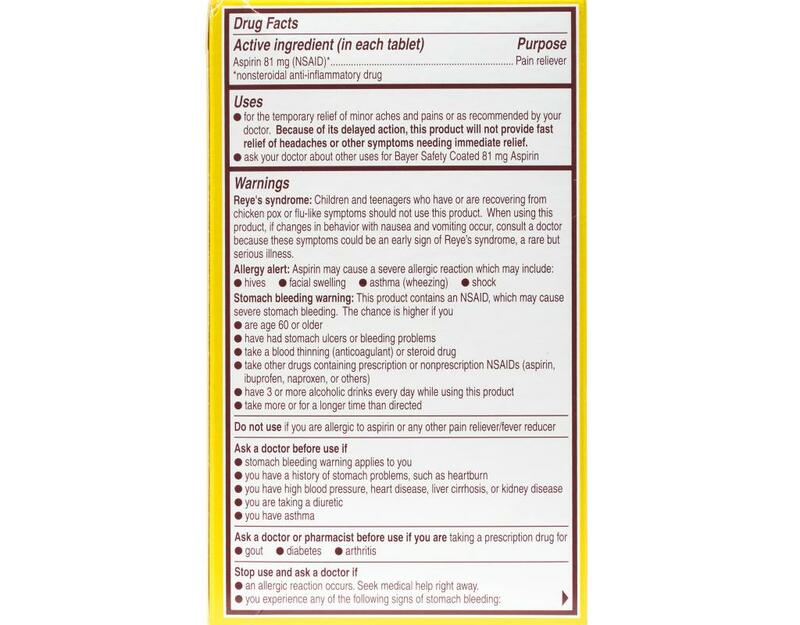 Aspirin Regimen Bayer Adult Low Dose 81mg aspirin is recommended by doctors for use to fight cardiovascular events, like recurrent heart attack or stroke. It is most often used by patients who are taking aspirin on a regular basis under a doctor's supervision. This product contains one-quarter the medicine of a regular strength aspirin tablet allowing you to more conveniently take the dosage directed by your doctor. 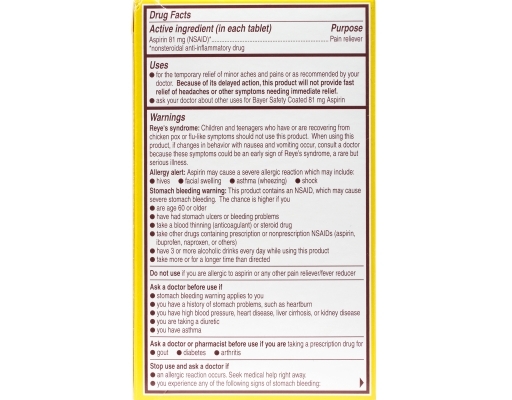 This product is caffeine-free and sodium-free.